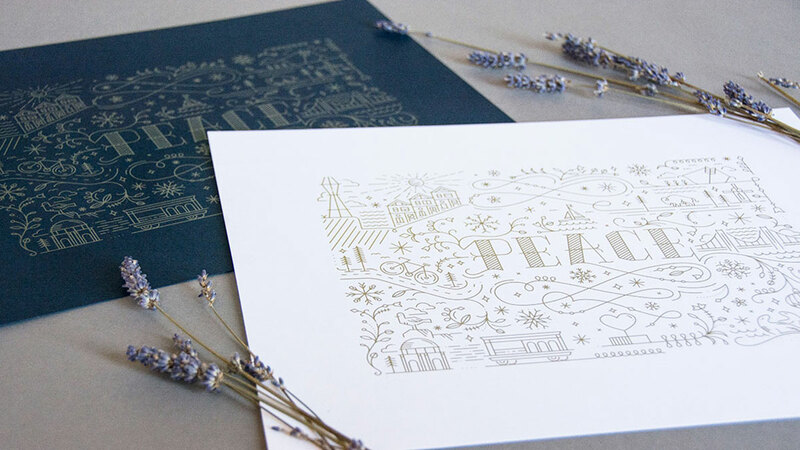 I always love when the holiday season rolls around because I know that I can look forward to not only the usual yuletide festivities, but also a host of truly inspiring cards from our always-creative design community as well. 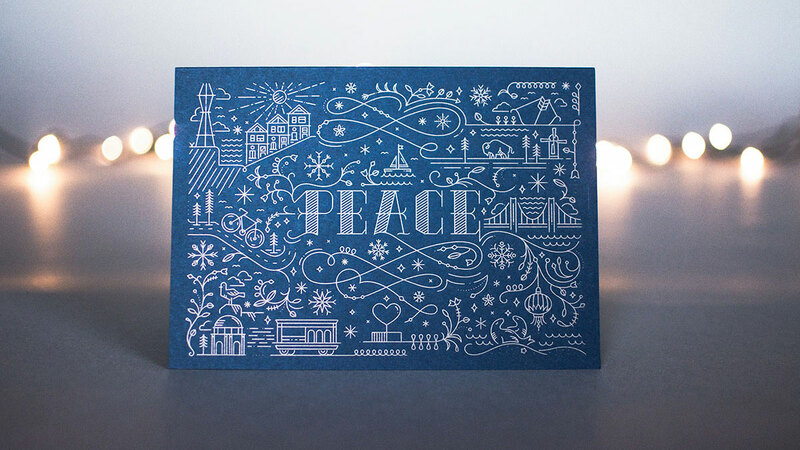 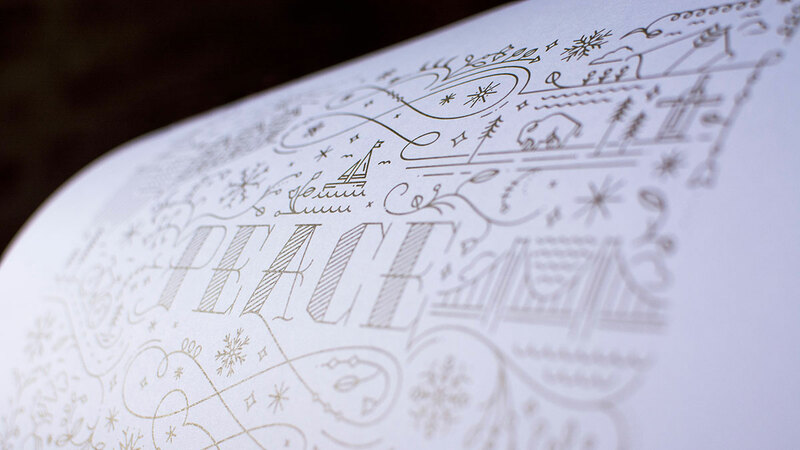 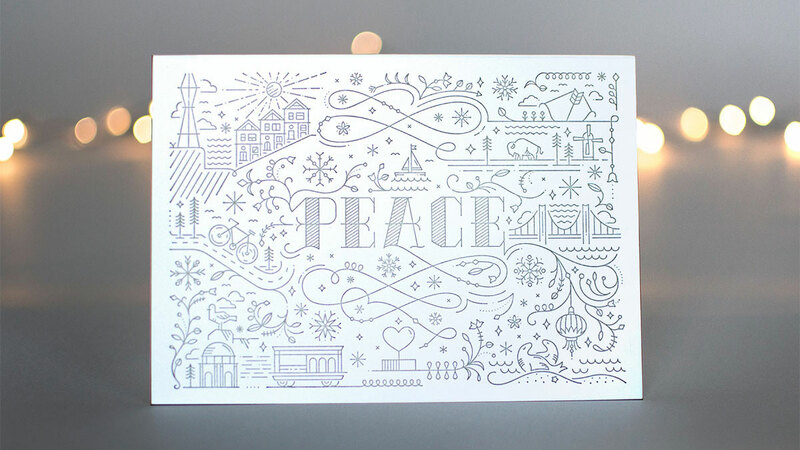 One of the highlights in recent years is this beautiful print and card combo from San Francisco’s Noise 13 that conveys an appropriate message of “Peace” gift wrapped, if you will, in playful iconography that celebrates the city by the bay. 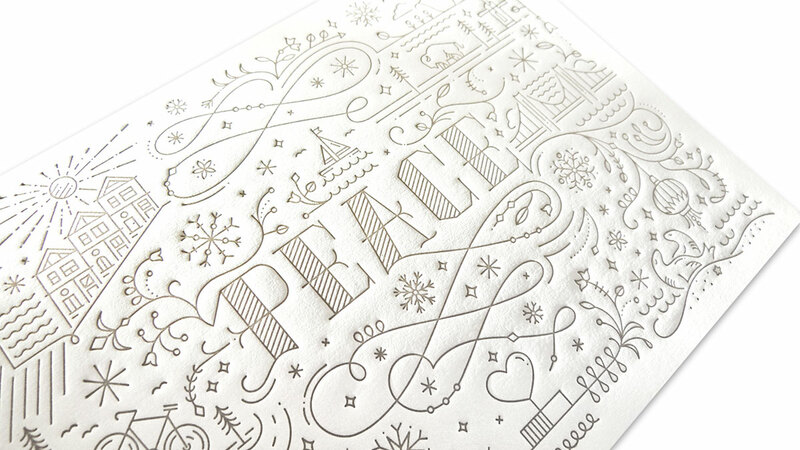 Running an admiring finger over the letterpress-printed cards you quickly gain an appreciation for just how intricate this piece actually is. 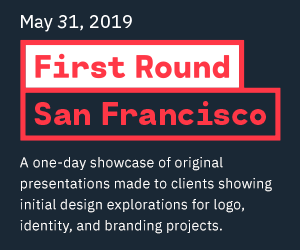 Not only did they squeeze in a bevy of little nods to one of our nation’s design capitals, they did so in such a way as to make it a rich design experience without every feeling too busy. 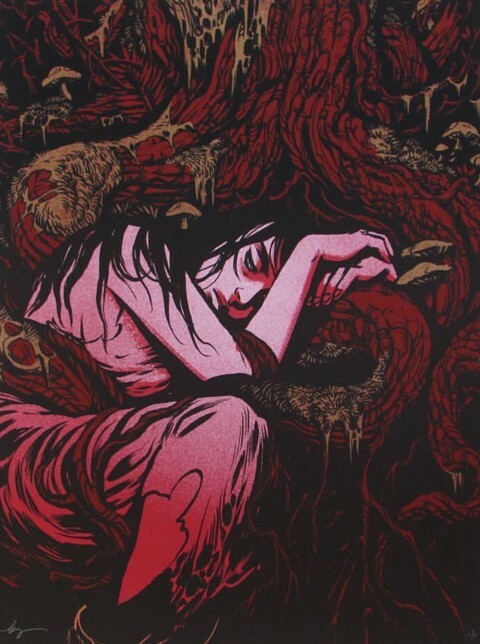 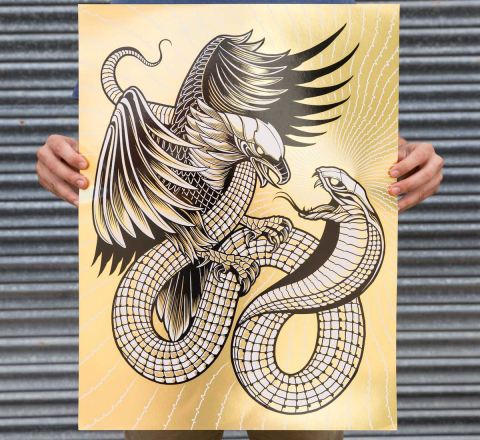 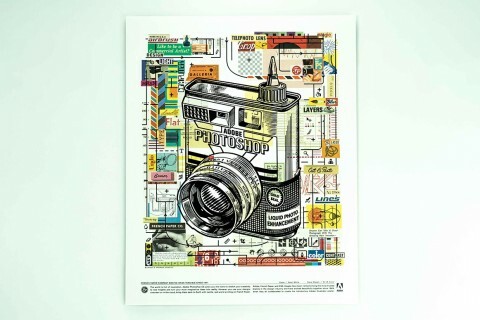 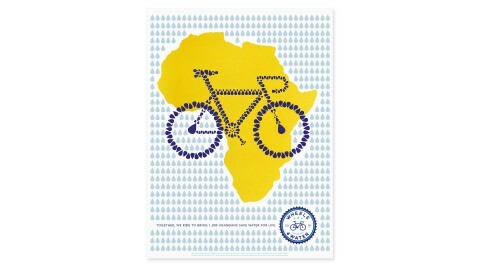 While I would have loved to see the matching poster letterpress printed as well – you really can’t beat that dimensionality – the choice to offset print it with metallic ink instead was a smart one. 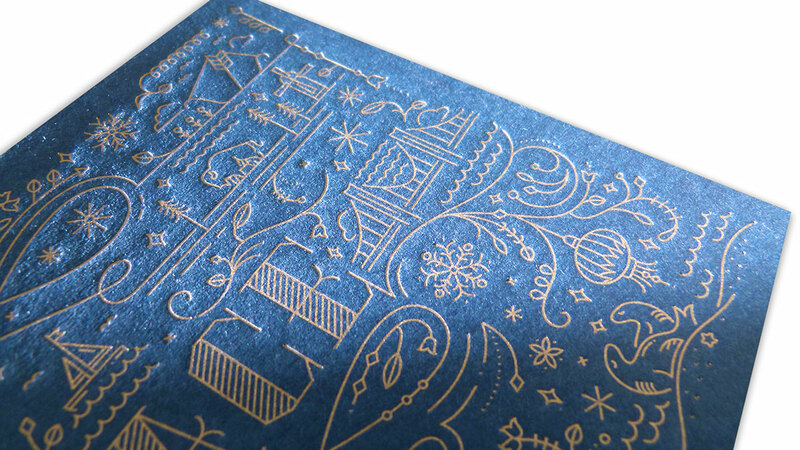 Those details we love so much jump right off the Neenah Classic Crest [Get Swatchbook] beautifully, particularly the Patriot Blue. 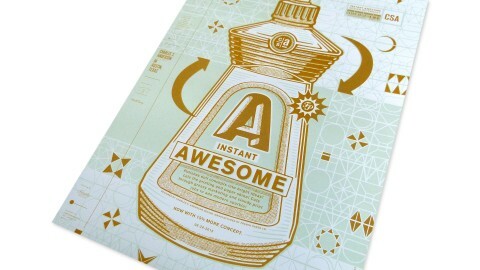 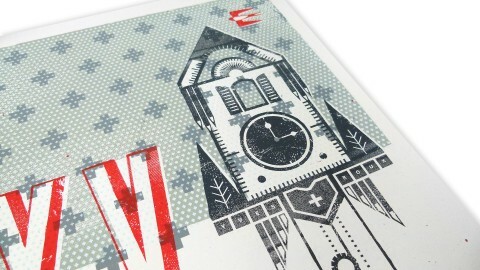 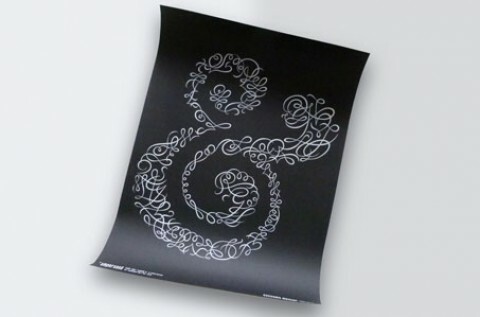 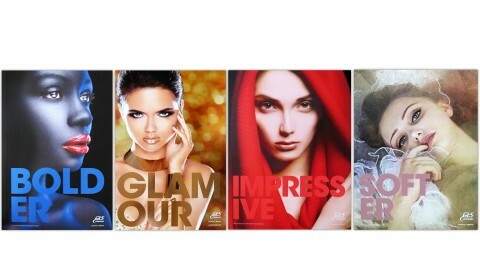 As Claire discovered, “Metallic inks don’t show as well on textured paper, or in letterpress in general.